In September, we showed you the first shot of a reunited Jim Carrey and Jeff Daniels on the set of Dumb and Dumber To. Now, we have the first still image from the actual movie. The official Dumb and Dumber To Twitter account posted the image yesterday afternoon. 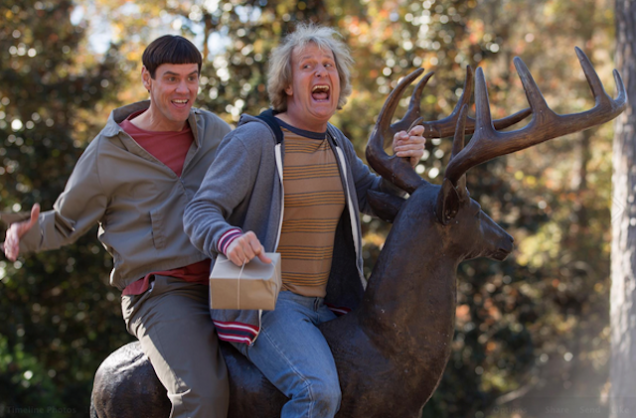 As you can see, it's a picture of Lloyd Christmas and Harry Dunne riding a deer statue. Not quite a too-small scooter but we'll take it. The movie opens November 14.